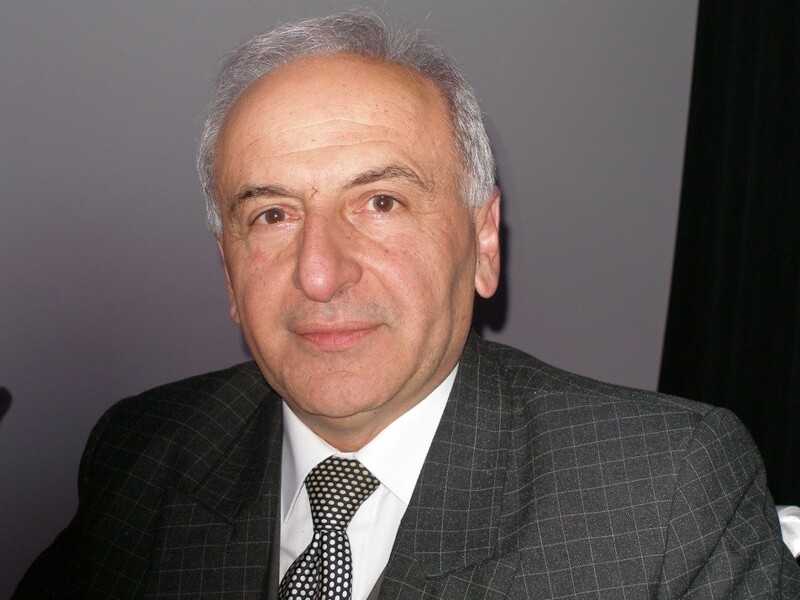 I first met writer, publisher, editor and translator Dr Raghid Nahhas some years ago when he was editor and publisher of a bilingual Arabic/English literary magazine, Kalimat. But publishing a magazine certainly isn’t the full extent of Raghid’s work, as readers will discover from this very interesting interview. 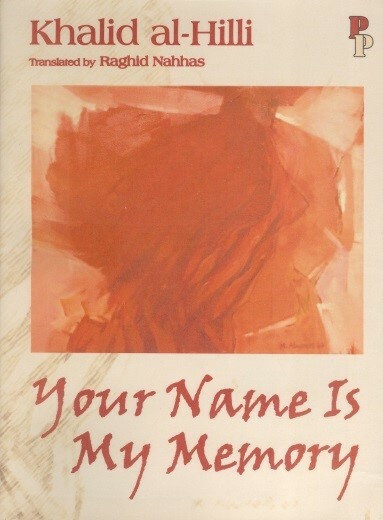 Raghid, for a number of years, you were the publisher and editor of a unique literary magazine, Kalimat, a bilingual Arabic/English production. Can you tell us how it started, what your aims for it were, and whether you felt those aims were achieved? And how was the magazine received, both in Australia and Lebanon? What are some of the scenes, that stand out, for you, in the time Kalimat was published? I come originally from Syria, born to a Syrian father and a Lebanese mother. About 1998, a group of enthusiastic well-educated Australian-Syrians wanted me to group them in some sort of an organisation where they would feel useful to society. However, I was more inclined to reject any sort of another “ethnic” organisation added to the multitude of societies and even “political party groups” that are irrelevant to Australia (there are tens of such groups that carry the names of militias and political parties that have been active in the Lebanese civil war and its consequences. I find this very odd). I mentioned to those people that I would be interested in presiding over such a group if I had something meaningful to offer to Australian society at large, and that the group should be inclusive of any Australian who shares our aspirations. Two years later, I felt I could realise an idea that was with me since I arrived in Australia in 1988. Back then, my scientific career and my occupation with supporting my family did not leave me much time for literary activities. ‘Kalimat’ is the Arabic for ‘words’. It is the plural of ‘kalima’. We believe in the power and the beauty of words. We believe that the word is the gate of cultural heritage, and that writing is the key to its permanence. This is what the Arabic words on the back cover of this issue say. Kalimat seeks to expose the beauty of words and explore their creative dimensions in poetry and prose, in any form or style. Kalimat will seek quality, without being too academic. 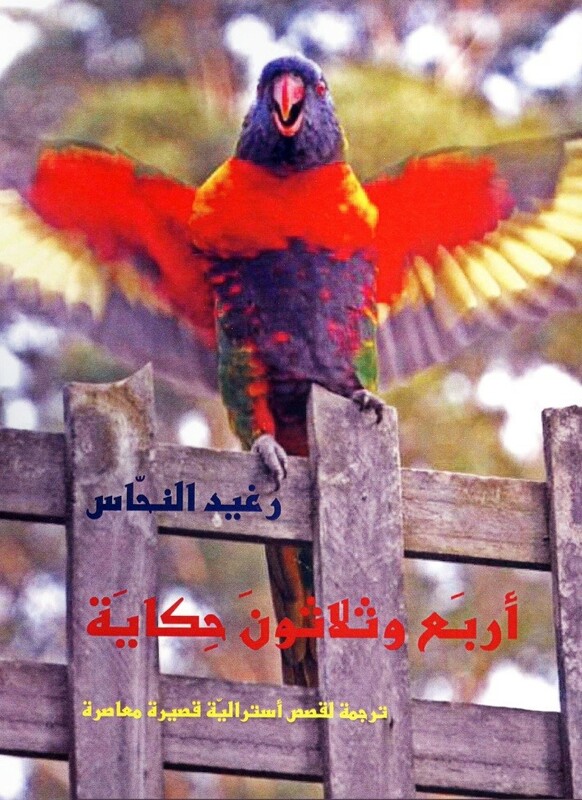 Kalimat, an Australian-Arabic Literary Quarterly, is produced alternately in English and Arabic. It seeks creativity in both languages, and fosters access between English-speaking and Arabic-speaking individuals and the worlds and cultures they represent. In doing so, Kalimat aims at providing direct enjoyment of the written word in either languages, or in both for those who are bilingual. Those who have one of the languages only, can have access to other ideas through translations and commentary. Kalimat’s mission is to provide a medium for cultural access and enhanced creative communications between writers from diverse communities, who are united by their quest to have their words read, heard and felt by everyone. Kalimat will focus on Australian-Arab access by being representative of the widest possible contemporary writings in each culture. It will also attempt to promote Australian and Arabic writings throughout the migrant communities around the World. We have already begun establishing links with major literary bodies and individuals in the Middle East and among migrant communities. The fruits of these contacts will start appearing in subsequent issues, ripe for everyone to enjoy. We are very clear about what access means. A very dear friend who comes from a different background, holds some contrasting views to mine. We both believe that ‘boundaries’ are inevitable, or at least necessary or healthy. We believe that we are such good and close friends because we recognise each other’s boundaries. We are also able to cross those boundaries, move freely, enjoy their essence and move out again without undermining the integrity of the core. The overwhelming response we have received indicates a great interest in the goal Kalimat is pursuing. It also indicates that there is a need for a new outlet for all those talents. We would like to see more spontaneous, creative and emerging talents knocking on our door. To this end, we say that Kalimat is your words. And my word! Without you and your contributions to this exercise, it becomes null and void. I would say that the aims were partially achieved, because they were limited to an elite group. This is due to two reasons in my opinion. One is the quality of the magazine. Another is our inability to market it on a wider scale. The latter was mainly due to severe financial difficulties at an era when digital printing was non-existent, making it costly to print. You see, my real aspiration was to make such a magazine popular without compromising its standards. In this way, I was hoping to engage the common reader with material of a more literary value than the one this reader was used to. I felt there was a need to make creative writing more accessible. I don’t think that we succeeded in that. The magazine was received well in Australia, Canada, USA and England. It was also received well in some European countries, mainly by organisations and individuals with links to Arabic. In the Middle East, it was received well by individuals and by one organisation in Syria that has links with Syrian migrants abroad. The Ministry for Culture in Syria subscribed to the magazine. Major Arab well-funded literary organisations never bothered to answer my mail despite sending them full sets and despite that some of their employees had material published in Kalimat. I was interviewed by TV and radio whenever I visited Syria and Lebanon and the reception was excellent, but this was based on some individual initiatives by prominent people who appreciated the work. 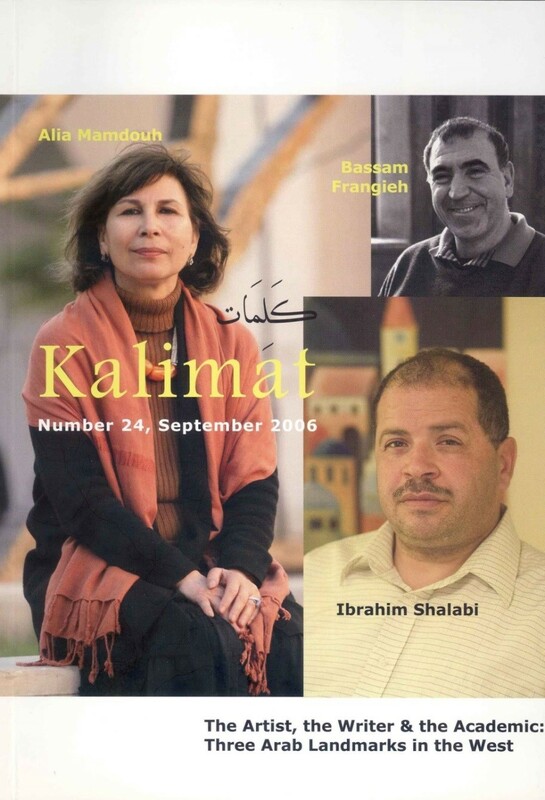 Kalimat was published between 2000 and 2006. These years, and indeed the decade, will be remembered in history as truly fundamental in laying the foundation for a different world. The year 2000 was prominent as the start of the 21st Century. It was preceded by a lot of anxiety about the “Millennium Bug” and the usual superstitions associated with “landmarks”. The real anxieties during that year were related to more real-world issues, mainly matters related to al-Qaeda and to Iraq. Between 2001 and 2006, the situation worsened with USA leading the war on Afghanistan after the 9/11 attacks, George W. Bush became president, a blast in Bali killed many Australians, the USA invaded Iraq with devastating consequence for years to come, a tsunami in south east Asia killed thousands of people, terrorism struck the heart of London, Syria withdrew its forces from Lebanon and the Lebanese prime minister was assassinated, Saddam Hussein was executed, Islamists captured the Somalian capital and Hamas won the elections in Gaza. There were some bright moments. For example, the euro started circulation and a European spacecraft landed on Titan (a moon of Saturn). Add to this scientific discoveries and literary achievements, many of which might go unnoticed. You are an author as well as a publisher. Tell us something about that. How did you start writing? What genres do you write in? And is your work mainly in Arabic or English? My main literary work is mainly in Arabic, but with Kalimat my English writings had a boost. I started writing at a very young age and I was known at school for my abilities in Arabic and English, despite my scientific choice of courses. I contributed to the school magazine in Damascus when I was in primary school and afterwards. Our school had a distinguished publication that was taken seriously. My first article in a leading Lebanese magazine was published in the sixties when I was fourteen. In England, whilst I was undertaking my PhD in Experimental Zoology, I met another Syrian who was undertaking a PhD in English literature. We became close friends and he showed me an issue of al-Adaab, the leading literary magazine in the Arab world at that time, with a short story of his published in it. This encouraged me to show him a short story I had written. He dismissed it as unpublishable by that magazine. Nevertheless, I did send it for publication and it was accepted. Ironically, it was my friend who broke the news to me, because he was a subscriber to the magazine. I write short stories, prose, essays and socio-political articles. My work is full of social critique, sarcasm, humour and some dramatic sad stories from the start of the civil war in Lebanon where I lived for a while and escaped tragic circumstances on a few occasions. There is also a lot of happiness and love stories from Beirut between 1970 and 1975, a period during which I considered Beirut my darling city and the best place on earth. In any piece I write, I mostly tend to include all the above elements. Although some of my work is a complete fiction, it is based on real experiences or understanding of real events. I believe in an integral approach to life: things are more related to each other than we think. You come from a well-read family, I believe. As a child, and a young person growing up, what books and writers inspired you? And what books and writers inspire you now? My maternal grandfather was a distinguished journalist and a pioneer reformist in south Lebanon for the first half of the twentieth century until his death in 1960. Interestingly, my paternal grandfather was a business man and so was my father. My father, who only finished year five at school, was a devoted reader. I remember when TV was introduced to our household about 1960, the whole family would spend every evening watching, except for my father who would retire to bed and read for hours. We had many books, but mostly classical and traditional material and definitely nothing progressive, leftist or atheist. These I had to pursue myself. No one stopped me from doing that. My mother had a collection of Shakespeare’s plays translated into Arabic. I read it all with fascination, particularly “Midsummer Night’s Dream”. 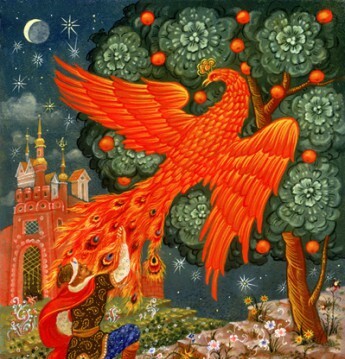 I read translations of works by most of the renowned Russian novelists. War & Peace by Tolstoy comes to mind. Les Misérables by Victor Hugo was greatly admired by almost everyone. I loved it! I read Mariana Pineda by Federico Garcia Lorca. One of the very first Arabic novels I read was Dua’ al-Karawan (The Call of the Curlew), by Taha Hussein, considered the most important literary figure in Arabic literature. He was not a novelist. His writings, however, are of a great literary integrity. Later (still a teenager) I read all of Naguib Mahfouz’ novels. One day, after class, a group of my classmates and I (four of us who were the best achievers) were discussing various issues as we always did during recess. I remember telling them that Naguib Mahfouz was soon going to get the Nobel Prize. Little had I known that politics would delay him the honour for twenty-five years! Although I am not a poet, my main reading interest was poetry. I read a lot of the classical Arab poets, but I was more attracted to the modern ones, particularly Nizar Qabbany, a Damascene like me. I was born in the same locality where he was and in an architecturally Arabic house similar to his. I am very familiar with the Environment where he lived as a child and adult. 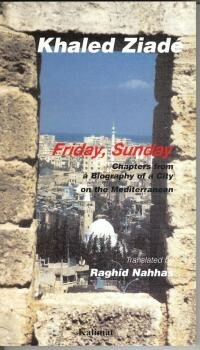 Like him, I also lived in Beirut for a while. In my twenties and until now, my major readings have been focused on science and philosophy. Examples of thinkers I admired over the years are (at no particular order): Rachel Carson, Bertrand Russell, Charles Darwin, Nizar Qabbani, Mahmoud Darwish, Adunis, Sadiq Jalal al-Azm, Simone de Beauvoir, Carl Sagan, Stephen Hawking, AC Grayling, Paul Davies, David Attenborough, Salman Rushdie, Noam Chomsky, Sigmund Freud and Albert Einstein. My favourite person in history is Hypatia of Alexandria (died 415 AD), a philosopher, mathematician and astronomer. She was an advocate of the value of science and stood for her principles. She paid for this with her life when a Christian mob, including monks, tore her to death. What’s the publishing scene like, not only in Lebanon but other Arabic-speaking countries? Before the Lebanese civil war that started in 1975, Beirut had been the cultural centre of the Arab world due to the freedom of press and the relative democracy enjoyed. 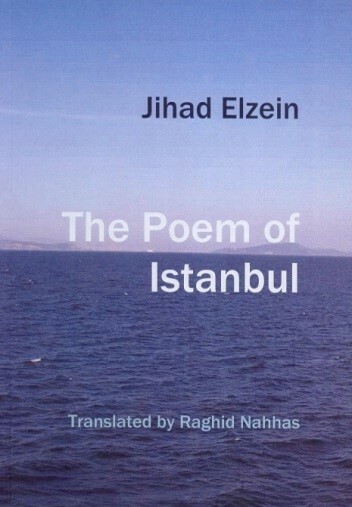 Many Arab intellectuals used Beirut to publish and some prominent ones moved there and established their own publishing houses, such as Nizar Qabbani and Ghada Samman. Beirut still enjoys a lot of freedom in that respect, but it no longer occupies the same status as before. Dealing with publishers there would now cost you an arm and a leg. Not only do they want to sell you the number of copies you require, but also they force you to buy some 1000 copies and to forfeit any rights for a period of five years. I wanted to publish my recent Arabic books there (a logical thing to do), but aside from the few who never respond to you, some leading ones were difficult to deal with. 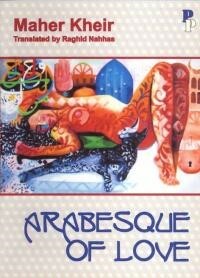 I can see now why even some of the greatest of Arab writers opted to self-publish. I don’t feel that the situation in other Arabic-speaking countries would be any different, but I am no expert on that except to say that some of the Gulf states have managed to publish literary magazines of a very high quality and they ought to be congratulated on their efforts. One example is the monthly Arrafid (published by the government of Sharjah, UAE). With every issue there are three extra little books, and each deals with a certain genre. The problem, of course, is whether they will be open minded about publishing material that does not meet their values. The problem I have with them is that so far I was not able to deal with them, because they don’t answer my emails or letters. You have translated many works, from English to Arabic and vice versa. How do you view translation? What are its challenges and pleasures? Unlike other literary translators who feel that once they put the work into the target language they possess it and it becomes their creative work, I consider myself a “trustee” of the work. The work is not mine and it can or should never be mine. I believe that a translation is a responsibility. Integrity and honesty mean that a true translation should reflect the original work and never be better or worse. In the literary word, an accurate translation does not mean “a true copy of the original”. However, it should be a true reflection of the spirit of the original and as much as possible of the original style. This can never be achieved, particularly in poetry where the metre and musicality are very much dictated by how each language is established. As well as your work as a publisher, editor, author and translator, you also worked as a scientist for many years. Do you think all of these strands complemented each other, or did you have to struggle to fit them all together? I don’t believe it is a question of “fitting together” or “complementing each other”. Some people, like me, have varied interests. As such, the “struggle” is to find time to achieve in every case. No, I did not have to struggle, because for twenty-five years my involvement was with research and consulting. It did not leave me much time to consider my other main hobby in writing. This remained dormant and I was happy doing what I was doing. As soon as I had the opportunity, I embarked on a more serious literary path by publishing Kalimat. My philosophy in life is very much dominated by “integration of disciplines”. I believe that we can specialise in certain fields and this is necessary for achieving specific goals and targets. Specialists, however, must not lose sight of the total picture if they want their achievements to be better and more accessible. For example, a geneticist must be conversed in the ethics associated with the consequences of genetic engineering. What are your current publishing and writing projects? This year I published three translation works: two into Arabic (short stories, poetry) and one into English (poetry). 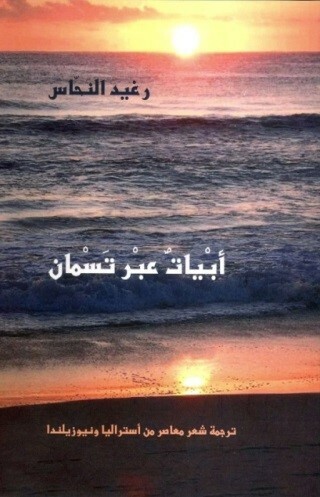 From now on, I hope to have the time to complete two novels, one in English and one in Arabic. I would like to express my appreciation of a number of writers, poets and academics who stood by me when I published Kalimat. This was the best reward I received, because it meant that those people appreciated the value of what I was doing. I am saddened, however, by the fact that since Kalimat ceased publication, only a handful kept in touch. I have the pleasure of knowing Dr. R. Nahhas personally. He is a man of wisdom, knowledge and character and deserves all the praise. I wish him all the best in his future endeavours. Thank you for your comment–I do so agree! Dr R. Nahhas writes with a fine touch, a sharp eye for derails of people and places. He is a talented story teller who has the ability to evoke a world and pull the readers and the listenres to it.